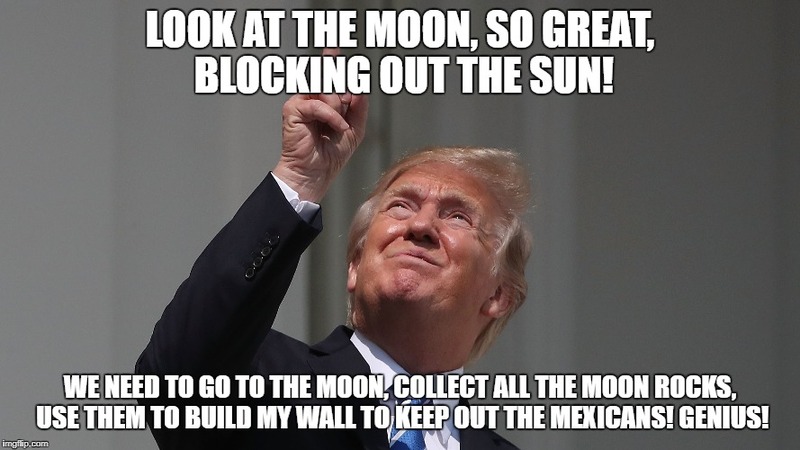 LOOK AT THE MOON, SO GREAT, BLOCKING OUT THE SUN! WE NEED TO GO TO THE MOON, COLLECT ALL THE MOON ROCKS, USE THEM TO BUILD MY WALL TO KEEP OUT THE MEXICANS! GENIUS!